In 2011, Los Angeles officials released an ambitious Bicycle Master Plan for expanded and improved bikeways throughout the city in order to increase safety and reduce Los Angeles bike accidents. Recently, Mayor Antonio Villaraigosa announced that work on the plan has progressed at a much faster rate than expected, with no signs of slowing down in the future. According to a report on NeonTommy.com, Villaraigosa revealed at a press conference that 123 miles of bikeway were created in L.A. over the course of the last two years. This amount exceeds the mandated average of 40 new miles per year and has resulted in a total of 431 miles of bikeway throughout the city. Opponents to the expansions have said that the construction is a waste of city funds and will only add to traffic congestion. However, supporters of the plan have stated that expansions will not come at the cost of the flow of traffic and will lead to a safer and cleaner Los Angeles in the future with fewer cars on the road. Villaraigosa stated that the city plans to install 200 miles of bicycle paths in the next five years, but will likely meet that goal in less time due to the high rate of completion. The Master Plan proposed approximately 831 miles of new bikeway throughout Los Angeles County along with programs to promote ridership and safety. 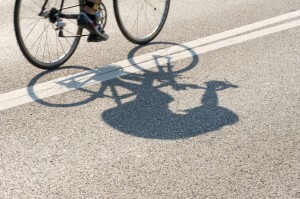 Los Angeles injured bicyclist attorney Joseph Low has dedicated himself to protecting the rights and future of those who have been injured in a crash caused by another party. With the help of the legal team at The Law Firm of Joseph H. Low IV, you can find the compensation you need in order to recover from your losses and move forward with life.